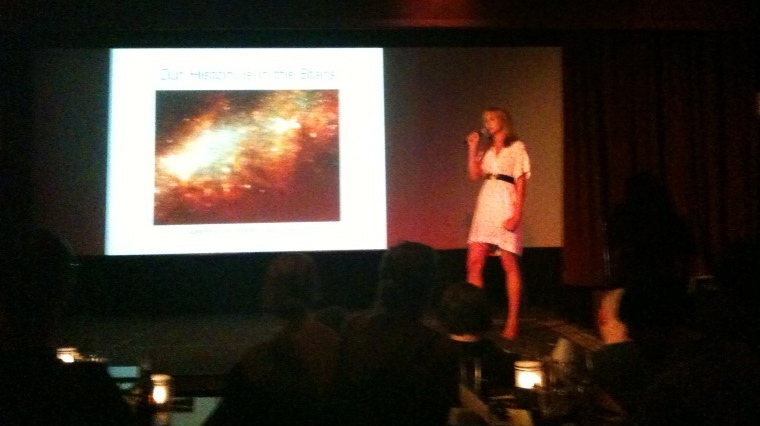 This was the first Ignite in Los Angeles, July 21, 2009. Conceived of and overseen by the O’Reilly Media, the event sets the following challenge: Enlighten us, but make it quick! Speakers get 5 minutes to give an inspiring talk and the 20 slides they submit advance automatically every 15 seconds. “Robots have come a long way. They walk and they talk . They also have advantages over humans: they are stronger, they have a computer for a brain. This makes them well-suited for many tasks — especially space travel. We need robots and they wouldn’t exist without us. To work together we need to find some way to be able to socialize with them. We’ll eventually want them to keep us company. For that job robots have a long way to go, but this talk will share some of the experiments, research and thinking about this new area.